I have to admit, despite what you may think, I really struggle with laziness. My first reaction is always to take the easy route. I’m very apt to want to stay at home, to stay as comfortable as possible and to avoid exerting energy. I’d rather eat less than workout more. Steve, on the other hand, doesn’t mind working out twice a day so he can eat a few more calories. Sadly, in today’s society, everything evolves around convenience and comfort. If you are honest (and you are like me), it pains you to discover the remote on the opposite side of the couch, when just a few years ago we had to get up and change the channel on the TV. Before that, we had to drive somewhere to see a play or watch a show. Before that, we walked, road our bike or jumped on a horse to get to the closest amphitheater to be entertained. The same goes with telephones. Cell phones allow us to answer the phone exactly where we are. We don’t have to get up and walk to the kitchen (where the only phone in the house use to be) to answer the phone. We don’t have to stand for 20 minutes while talking on the phone because the chord could only reach so far. No, we can answer it exactly where we sit, remain seated without burning an extra calorie doing so. Before telephones, if you wanted to talk with a friend, you went to their house. You walked to your neighbors homes – and in very old times, you may travel hours to deliver a message in person. We can drive through and get a full-course meal without barely any effort. We have people that mow our lawn, grow our food and machines that wash dishes and clothes. We have it easy! And if we aren’t purposefully incorporating exercise in our day, we will be in big trouble. The problem is, we like being comfortable too much. We work our brains so much at work, we feel exhausted at the end of the day, even if we haven’t done any hard labor. While our mind may say we are tired, our body needs exercise. It’s time to discover your beast mode. What can we learn from this verse about ants? 1.) They don’t have a boss, they don’t have someone telling them what to do.”Though they have no prince or governor or ruler to make them work“.They labor hard on their own will. They aren’t doing all the hard work for someone else, they are doing it for themselves. We too should want to work hard because it is beneficial to us and to everyone around us. 2.) They plan ahead. “they labor hard all summer, gathering food for the winter”. While there are instant benefits to working out, what we do today is an investment for our future. We labor now for a reward later. If you want to feel good in your bikini in the spring, you labor over the winter. If you want to be healthy enough to play with your grandchildren and go on vacations in your 80s, then you labor hard now in your 40s. We must plan for the future and be willing to work now for a healthier life later. It is so easy to fall in the trap of laziness. Commit to being active, to fight laziness, to not give into napping when it isn’t necessary, to go to the gym after work even though you just want to hit the couch and relax. Clean the house regularly. One sign of laziness, and even depression, is letting the house go. The more disciplined you are at home, the more disciplined you will be at work and in your extra time. Make repairs when things break. Don’t put off tasks. Remove stuff in your life that is bad or dead. When there is something (or someone) in your life that is not good for you, it needs to be removed. What dirt and debris needs to go in your life? Work (prepare and cook) for your food. Limit how often you go out to eat. Eating out is a form of laziness – even some of the busiest people with the same amount of kids and responsibilities can find time to cook. Work together (don’t wait on others to do stuff for you). Have your family work as a team, each using their talents and skills to help one another. Don’t do life alone. There are no stories of ants being a lone, gathering their own food, fighting off enemies and cleaning and repairing nest. 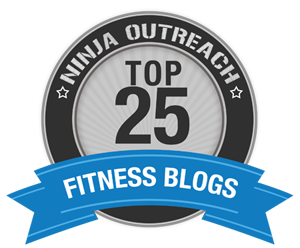 We need people – especially in fitness. We need a support network to help us stay on course and reach our goals. Carry heavy weight regularly. I love this one! An ant carries things 50 times their weight. While I’m not implying you should deadlift 7,500lbs (which is what you’d have to deadlift if you weighed 150lbs), but I am saying, don’t be afraid to lift heavy stuff. Haven’t you ever watched an ants pick something up? It, oftentimes, takes several attempts. You can see them trying to tackle it from different angels. You might even see them drop it along the way. Be like the ant, and look at the impossible with a desire to attempt it – and you’ll get stronger and stronger with each attempt! Walk 12,000 steps a day (that is equivalent to the average distance an ant travels, which is 6 miles). Ironically, most experts suggest to walk 10,000 steps a day for good health. Unfortunately, sedentary people may only walk 1,000-3,000 steps a day. No wonder we are an obese nation! People love motivational images of people lifting heavy weight and looking all hot and ripped, but maybe we should share pics of ants because they sure prove to be pretty great role models! 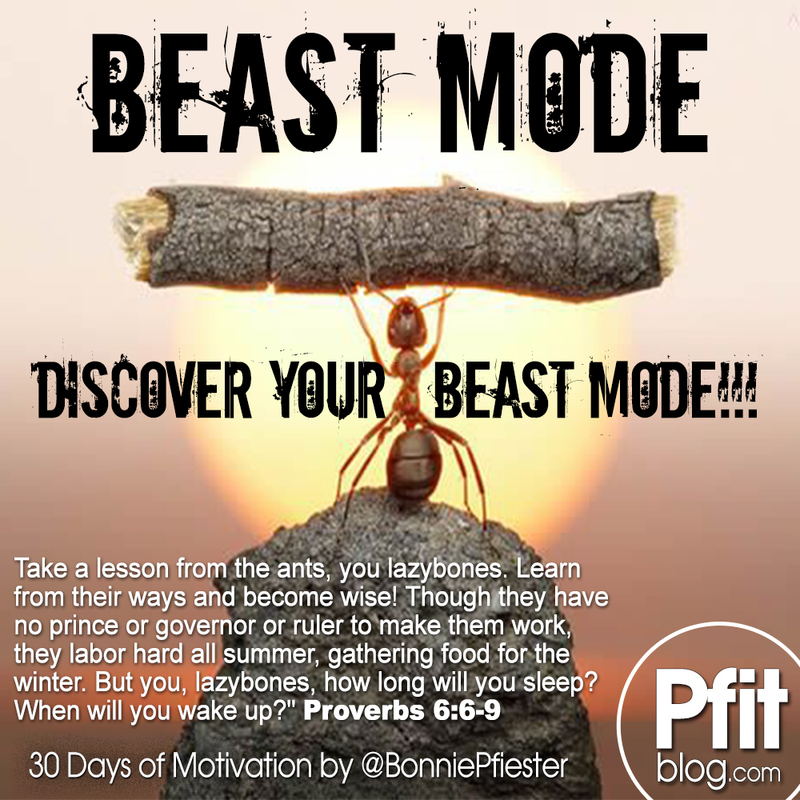 30 Days of Motivation: Find Your Beast Mode | The Fat Loss Dr.